I will try to share my experience as long as with children when I work as kindergarten teacher and drawing teacher for children at the different place. I work as kindergarten teacher just for 5 months from 1 October 2012 until 1 March 2013 and I start become a drawing teacher from 1 April 2013 until now. 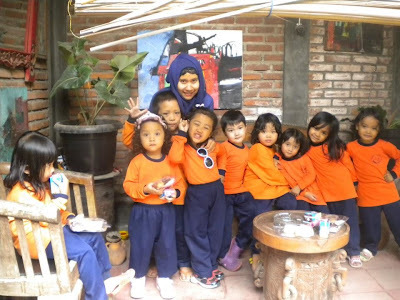 I love children, that the reason why I choose become a kindergarten teacher, different with my title, Bachelor of Tourism at Indonesia University of Education at December 2012. First time I teach children it's quite difficult because I haven't experience and knowledge how to teach children and about curriculum that I never get it in my major (Resort & Leisure Management). So, I start with read some book about children. Easly, the children has remember their own time table, so it's help me. They're know step by step what they have to do. Pray, read (book or quran), learn simple science and mathematics, break time, art session, then they can go home. Every Monday until Thursday like that and every Friday, we start with physical exercise, pray, and knowledge about religion. 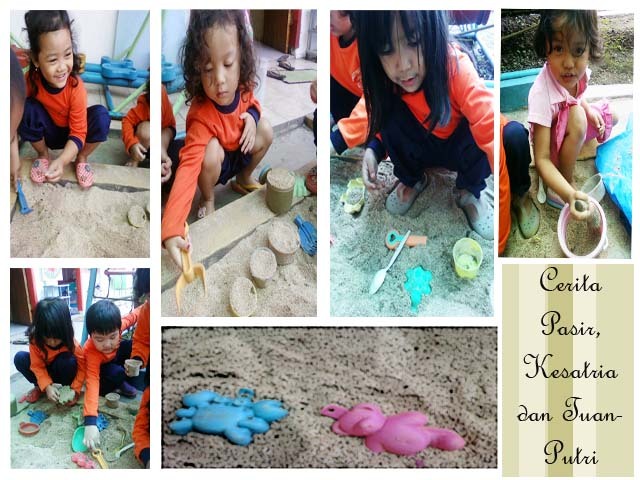 Simple, but for teacher, we have to plan the material about science and mathematics as simple as possible with play methode, so the children having fun but they learn abou something. Not only study in the class, every month we have outdoor activity like visit children house, outing at zoo, museum, any place that can give them the information about what they learn at class. 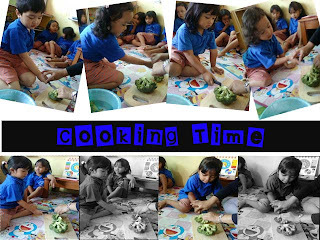 Every Wednesday we have cooking class. Try to make them loves vagetable because usually, children didn't like vegetable. Every friday it's religion day. I thought, it's just begining. 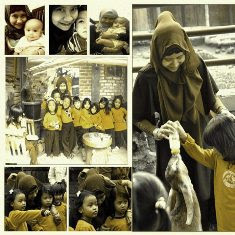 And I will share about children with their problem next time. Have a good time, God bless you all.